A hot topic that crops up now and again is the good old age appropriate debate! A few weeks back Woman magazine asked if I would feature in their regular "Don't tell me I can't....." article. The subject matter was.......wearing a mini skirt at Christmas, even though I'm well into my forties. Hell yeah! "Of course I would!" was my answer. I'm happy to wear a mini skirt any time, my age has never been an issue and I won't be dictated to about what I wear! There....I've said it. As long as feel happy and confident in what I'm wearing why should my age come in to it?! Where do you stand on the age appropriate debate ladies? I would love to hear. Whilst we are on this topic I thought I'd scout the High Street and see what short skirts they have to offer. First off I'm going with a bit of glitz and glamour for those Christmas drinks/parties. Love this blue one from Warehouse. I would wear with a Merino sweater, opaques and boots to tone the dressiness down a notch. I will be getting my River Island leopard print skirt out over the festive period (which is sadly no longer available). 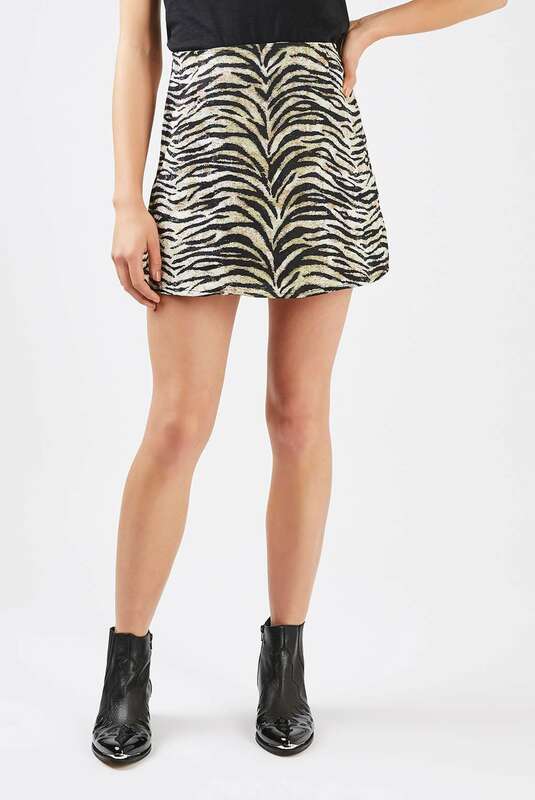 However if you are partial to a bit of animal print this Motel skirt from Topshop is gorgeous! Let's not forget that leopard print is a neutral. More familiar ground for me (as I do already own a faux leather one). 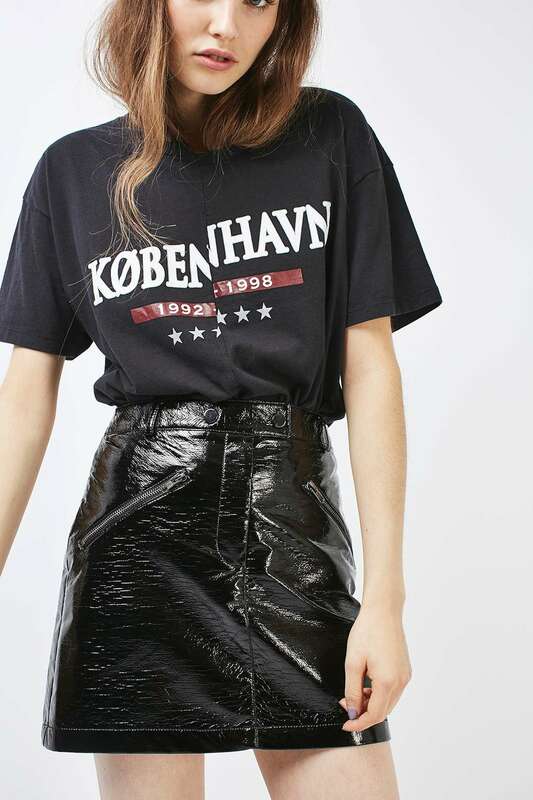 I adore this Topshop black vinyl skirt.....which would perfect with one of my many band tees! Or! 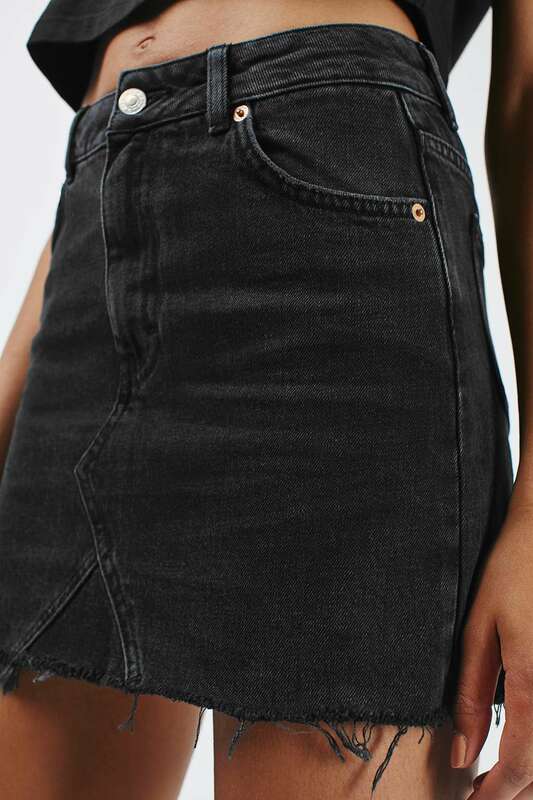 There is always this Mango one with the buckle detail. Last but not least, more of a day-style mini but one you could really glam up with a velvet top and glittery boots for evening....thus making very much dual-purpose! Are you still happy to get your legs out in your forties? Are there any trends you steer away from feeling they aren't age appropriate or are you with me on this and think as long as you are comfortable you will wear what you want?! Mwah! Thank you Lynne....it's a funny thing to see yourself in print! Fantastic article! I am a big fan of the mini skirt, I wear one most days and plan to long into the future (I'm 42 in a few weeks). Congratulations on the article Michelle, just brilliant. I definitely agree that age is not a number & you should wear what makes you feel good. Mwah Jane....thanks so much lovely!